drug-trafficking films to contemporary Latino/a cinema, within their historical and political contexts. Fojas argues that Hollywood border films do important social work by offering a cinematic space through which viewers can manage traumatic and undesirable histories and ultimately reaffirm core _American_ values. At the same time, these border narratives delineate opposing values and ideas. Latino border films offer a critical vantage onto these topics; they challenge the presumptions of U.S. nationalism and subsequent cultural attitudes about immigrants and immigration, and often critically reconstruct their Hollywood kin. By analyzing films such asDuel in the Sun, The Wild Bunch, El Norte, The Border, Traffic, andBrokeback Mountain, Fojas demands that we re-examine the powerful mythology of the Hollywood borderlands. This detailed scrutiny recognizes that these films are part of a national narrative comprised of many texts and symbols that create the myth of the United States as capital of the Americas. 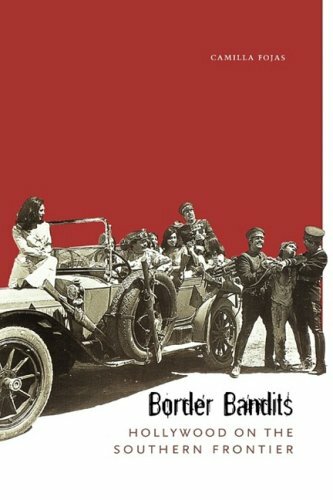 Camilla Fojas is Associate Professor and Director of Latin American and Latino Studies and a member of the Asian American studies program at DePaul University and author of Border Bandits: Hollywood on the Southern Frontier.